In a large bowl, combine the cake mix, oil, eggs and brown sugar. Mix until there is no longer any dry cake mix spots. Then gently stir in the chocolate chips and sprinkles. 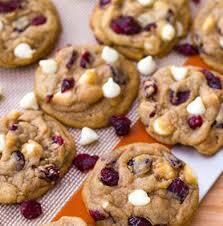 Scoop the dough out using a 1″ cookie scoop or roll out dough into 1 inch balls. 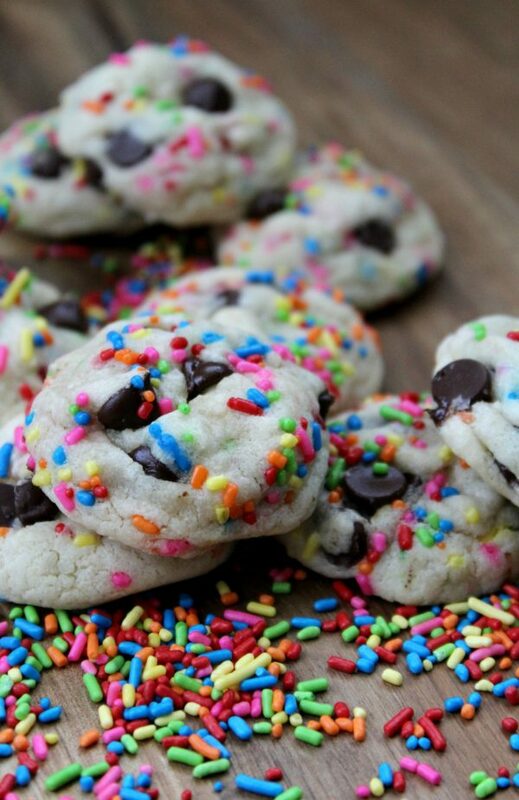 Top each cookie dough balls with more sprinkles. Place the dough on a parchment lined baking sheet. Bake for 6-8 minutes. Let cool on baking sheet for a few minutes then transfer to a wire rack to cool completely.